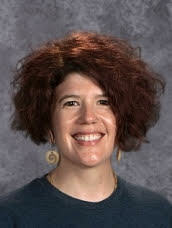 Ms. Amundson works closely with staff and parents in an effort to create a successful experience for students at TCA. She oversees the instructional discipline/behavioral management program at TCA, as well as the attendance of students and communication with the county regarding truancy. She is the best contact regarding behavioral or social concerns of students. Ms. Ancel works with family engagement activities, community outreach, and teacher support mentoring programs. She is the best to contact for outside organizations and questions on how to volunteer in the school. Ms. Dusek supports students in the areas of academics, social emotional health, and college and career planning. She meets with students individually, in small groups and provides classroom guidance lessons in addition to teaching Senior Seminar. She is also the best contact for any issues of bullying, mental health, or college and career planning. Ms. Lueth oversees all academic, financial, and operational functions of the school. 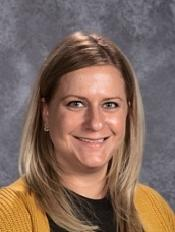 She functions as the superintendent of the school district, reports directly to the school board, and is accountable to the University of St. Thomas and the Minnesota Department of Education. Ms. Lueth can be contacted with any questions or concerns at anytime. Ms. Meuer supervises the Special Education faculty. She is the best contact for any questions about IEP’s or Special Education in general. Mr. Skagen oversees all day to day operations in the school, and leads all instructional programming at TCA. Mr. Skagen is the best person to contact for any issues related to teaching and learning, curriculum, or any other school issues. Mr. Skagen reports to Ms. Lueth. General education faculty and all other administrators report to Mr. Skagen.